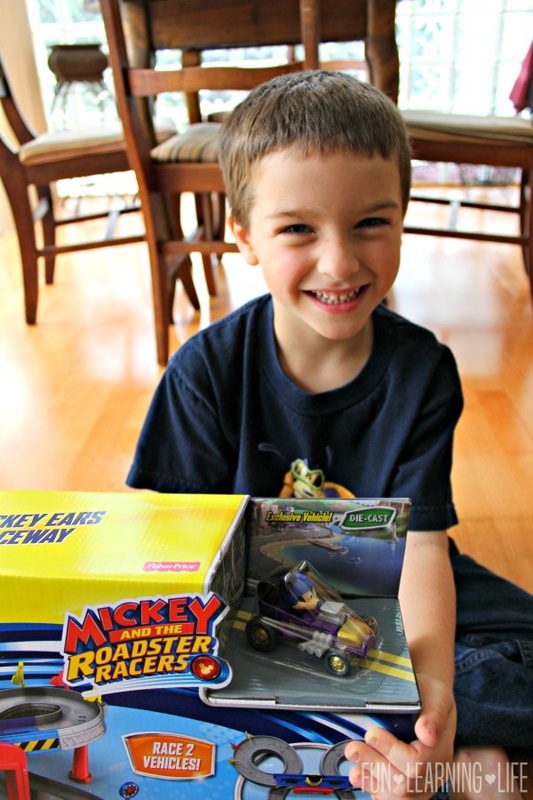 Having Fun On The GO With Mickey and the Roadster Racers – Mickey Ears Raceway! 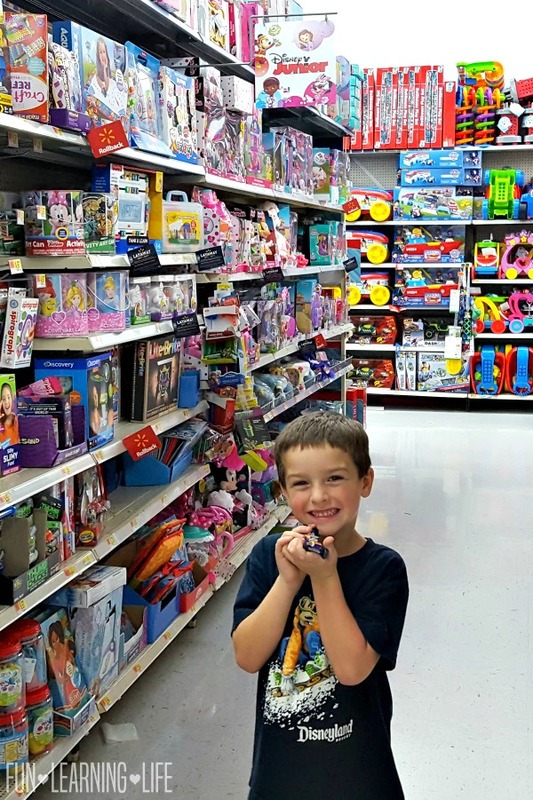 Looking for a toy that is fun to play with at home and while on the GO with your preschooler? 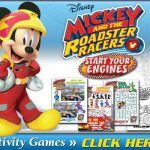 Well be ready Disney Junior Fans, because here comes Mickey and the Roadster Racers – Mickey Ears Raceway just in time for the holidays! 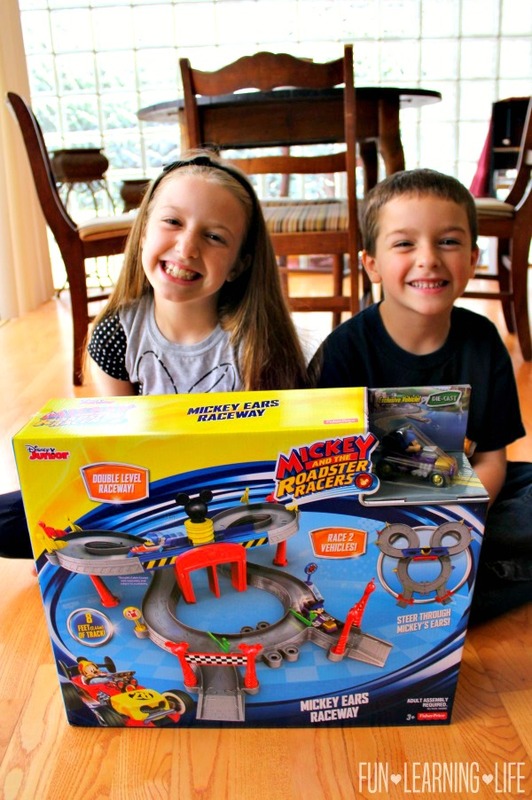 Update: This product has since sold out, however be sure to check out the Disney Mickey and the Roadster Racers Speed n’ Spill Raceway as another option! My kiddos got to check out this awesome race track set and lets just say that my little guy as well as older sister have been having a great time exploring the track with Mickey. 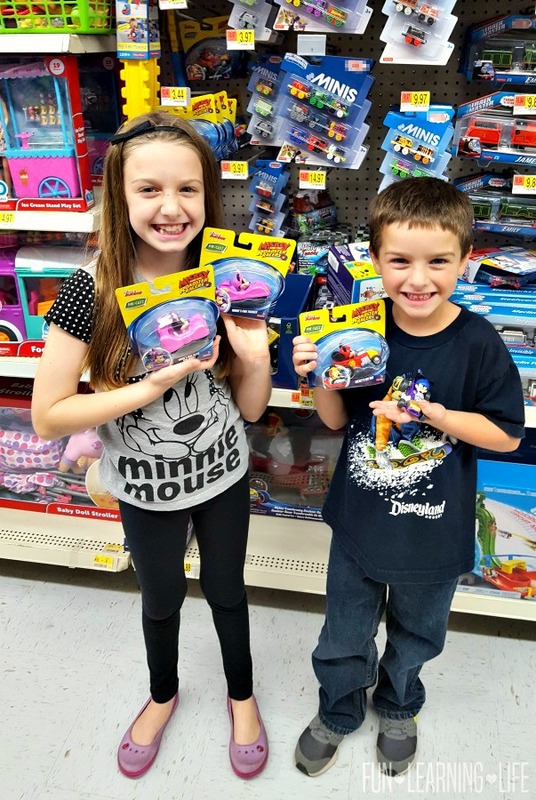 In fact, so much fun that we took a trip up to our local Walmart to look for the die-cast vehicle Minnie’s Pink Thunder to race along side Mickey. – The raceway is in the shape of Mickey’s Ears. – We get to make the cars go by pressing the Mickey Mouse launcher in the middle. – The flags flip around when Mickey and gang move around the track. 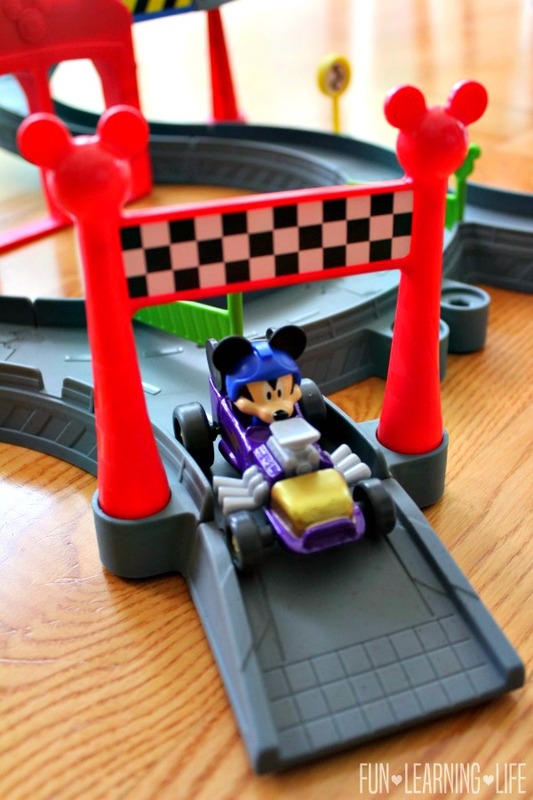 – You can race 2 vehicles in the Mickey and the Roadster Racers – Mickey Ears Raceway. – Players can open the track up or leave it closed to have car go through the finish line. Mom likes this toy because it keeps them busy and smiling! They ended up relocating the raceway to my daughter’s room to play and my son has been taking his Mickey car with him as he moves from one room to another. Let’s just say that I have a preschooler asking for more cars to go with the track. Guess what I am picking up to surprise him on Christmas morning. As you can see, this is a set that keeps on giving since you can take the characters on the go and add additional die-cast vehicles to race! For ages 3 and up, this entertaining set is configured to race two vehicles at once on 8 feet (2,4m) of a Mickey ear-shaped track! It comes with an exclusive Mickey die-cast vehicle, but also works with other Roadster Racers die-cast vehicles. 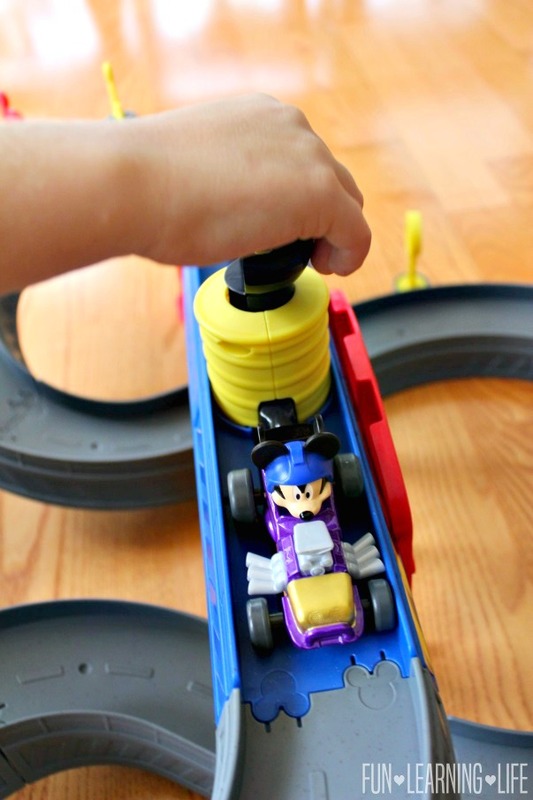 To set up the racers, simply place the cars at the starting line launcher and press Mickey’s head to send them racing down the double-level raceway. 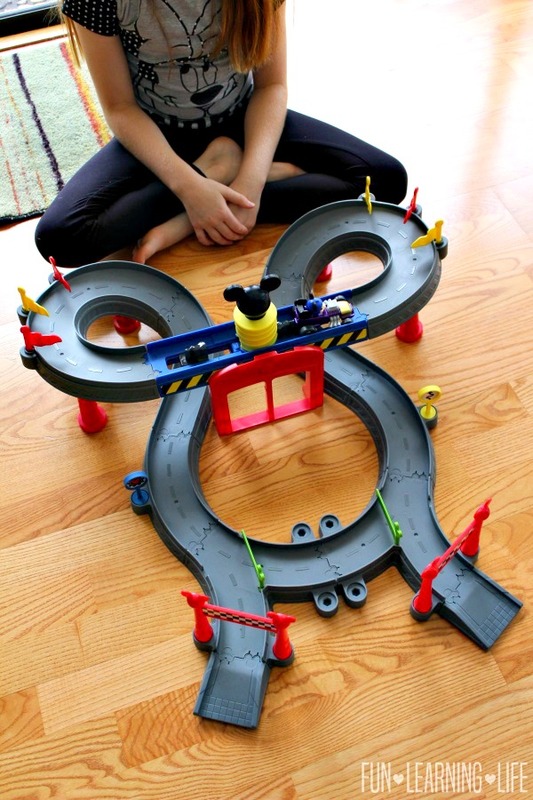 As a bonus, this special Mickey ear-shaped track has connectors that allow your child to add on and reconfigure the raceway with other Roadster Racers track sets. Additional track sets and vehicles sold separately and the die-cast vehicle Minnie’s Pink Thunder featured was also purchased separately. 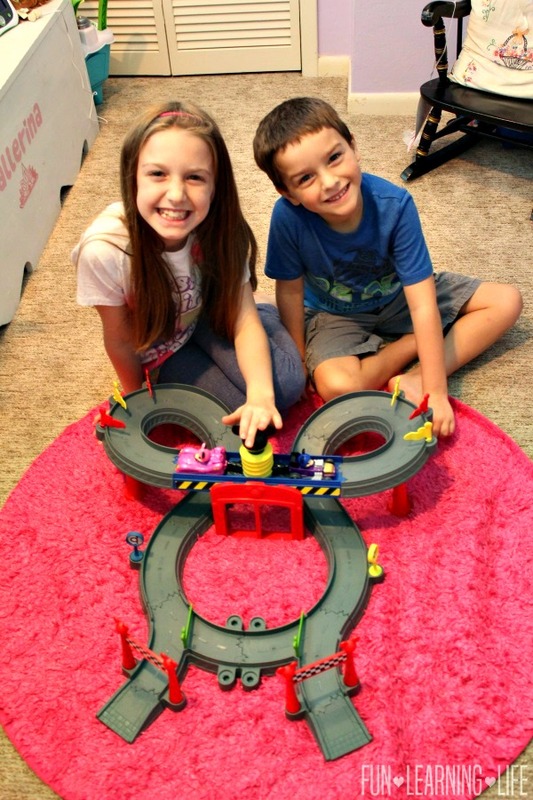 Update: This product has since sold out, however be sure to check out the Disney Mickey and the Roadster Racers Speed n’ Spill Raceway as another option! 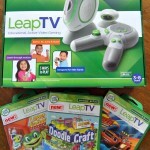 Wanting to pick up this interactive Disney Junior Toy your preschooler? 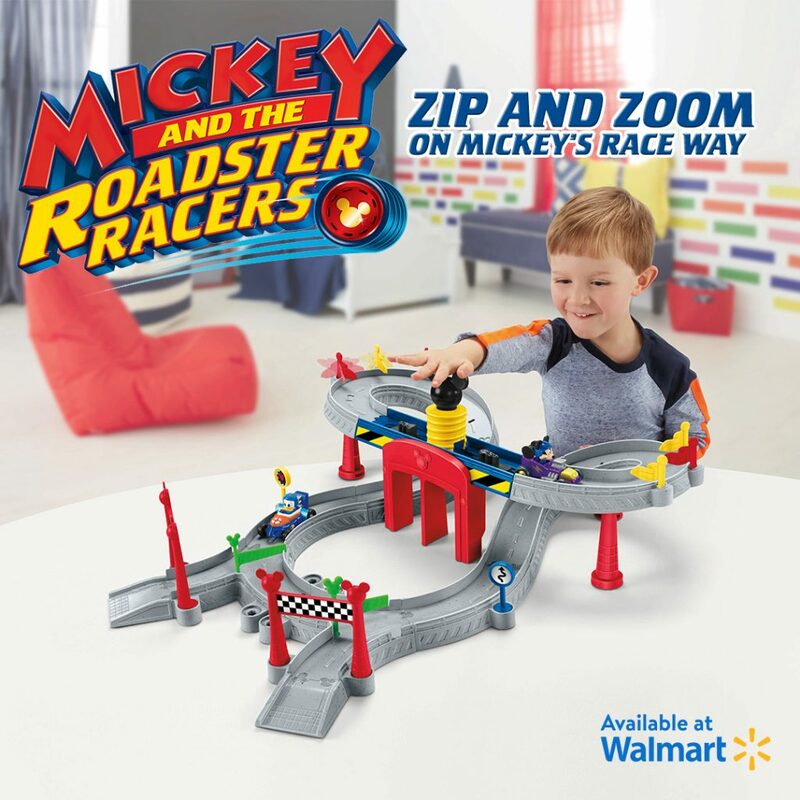 Look for Mickey and the Roadster Racers – Mickey Ears Raceway online at Walmart! My son would love this he loves cars & anything to do with Mickey Mouse ! 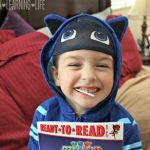 Your kiddos are so cute and this looks like a great toy for my nephew! Thanks for the recommendation. My nephew would get a kick out of this set.